"While most recent MMO's have chased the EQ/WOW models, it's great to see games like Project :Gorgon, pursuing the more open world and sandbox style that I think is underserved to gamers." -Richard (Lord British) Garriott. Project: Gorgon is a new Massively Multiplayer Online Game brought to you by Eric Heimburg and his wife Sandra Powers. Eric Heimburg, Project: Gorgon creator and lead developer, has over a decade of experience working as a Senior and Lead Engineer, Developer, Designer and Producer on successful games such as Asheron’s Call 1 and 2, Star Trek Online and other successful Massively Multiplayer Online Games. Sandra also has extensive experience working as a Producer on Asheron’s Call 1, Asheron’s Call: Throne of Destiny, EverQuest II, and EverQuest II: Echoes of Faydwer. Player Choices are important in Project: Gorgon. You can learn as many skills as you want, but sometimes power comes with downsides. You can become infected with lycanthropy and gain access to very powerful skill sets. You’ll be able to roam the world in a pack or as a lone wolf. However, when there is a full moon (which is tied to the real world lunar calendar) you’ll be stuck in your beast form. New opportunists come open, but others will be closed. There’s no cure for lycanthropy. Mechanisms for player-create quest content. Project: Gorgon Launches Indiegogo Campaign! 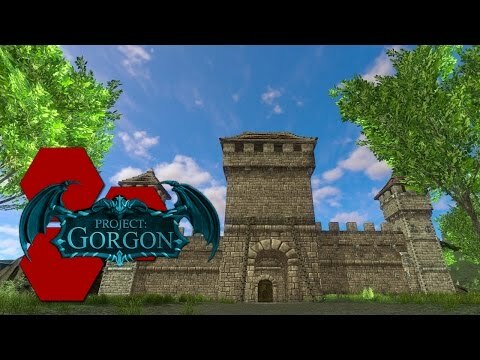 Project: Gorgon is a new MMORPG brought to you by Eric Heimburg and his wife Sandra Powers. Eric has over a decade of experience working as a Senior and Lead Engineer, Developer, Designer and Producer on successful games such as Asheron’s Call 1 and 2, Star Trek Online and other successful Massively Multiplayer Online Games. Sandra also has extensive experience working as a Producer on Asheron’s Call 1, Asheron’s Call: Throne of Destiny, EverQuest II, and EverQuest II: Echoes of Faydwer. 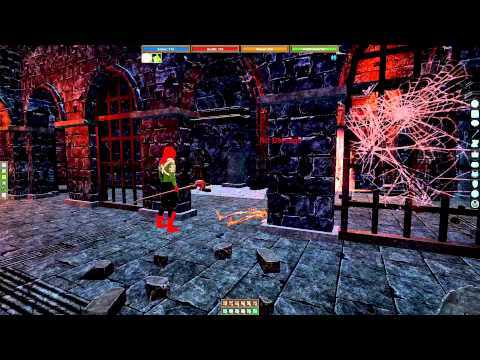 The Project: Gorgon Animal Handling Skill will undergo a major revision, and here is an inside look on what to expect! Project: Gorgon Blog - Road Map to Release! Project: Gorgon - What Skills would you like to see added?